The Queen's House, Greenwich, is a former royal residence built between 1616–1619 in Greenwich, then a few miles downriver from London, and now a district of the city. Its architect was Inigo Jones, for whom it was a crucial early commission, for Anne of Denmark, the queen of King James I of England. It was altered and completed by Jones, in a second campaign about 1635 for Henrietta Maria, queen of King Charles I. 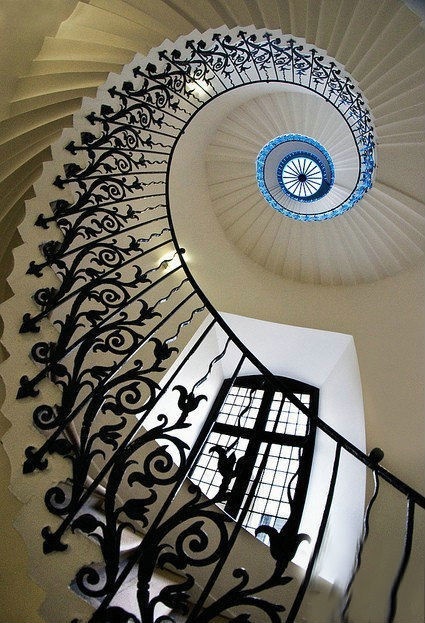 The Queen's House is one of the most important buildings in British architectural history, being the first consciously classical building to have been constructed in Britain. It was Jones's first major commission after returning from his 1613–1615 grand tour of Roman, Renaissance and Palladian architecture in Italy. Some earlier English buildings, such as Longleat, had made borrowings from the classical style; but these were restricted to small details and were not applied in a systematic way. Nor was the form of these buildings informed by an understanding of classical precedents. The Queen's House would have appeared revolutionary to English eyes in its day. Jones is credited with the introduction of Palladianism with the construction of the Queen's House, although it diverges from the mathematical constraints of Palladio and it is likely that the immediate precedent for the H shaped plan straddling a road is the Villa Medici at Poggio a Caiano by Giuliano da Sangallo. Today it is both a grade I listed building and a Scheduled ancient monument, a status which includes the 115-foot-wide (35 m), axial vista to the River Thames. The house now forms part of the National Maritime Museum and is used to display parts of their substantial collection of maritime paintings and portraits. It was used as a VIP centre in the 2012 Olympic games.